This play is pure comedic crack and I was hooked!!! Many compare this comedic delight to Monty Python. 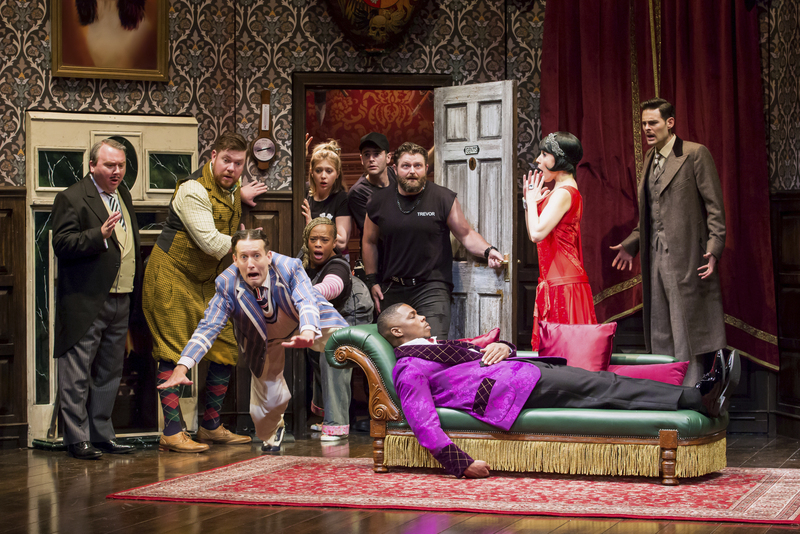 But I like to this of it as a mashup between Clue, Waiting for Guffman and Noises Off. 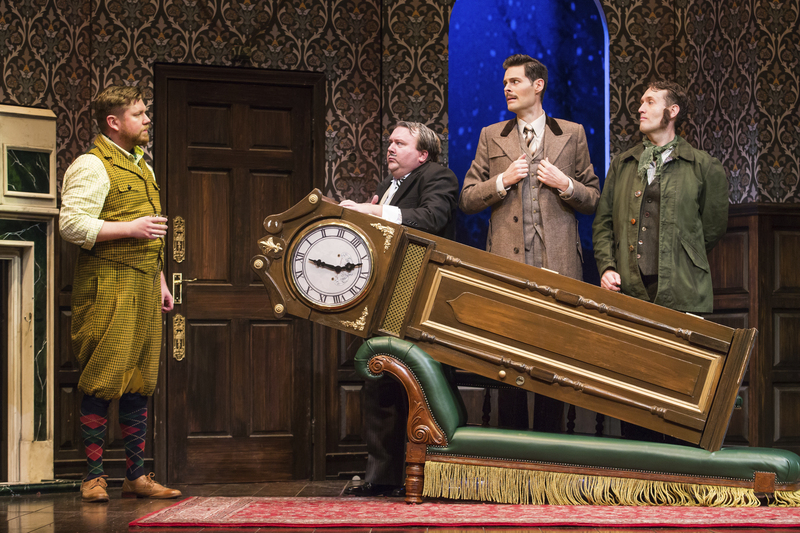 This hilarious play is the ultimate master class in Murphys Law and the Golden Rule of the Comedic Threes. I also love that this talented cast understood and enjoyed their dramatic pauses – sometimes it truly is all about timing. 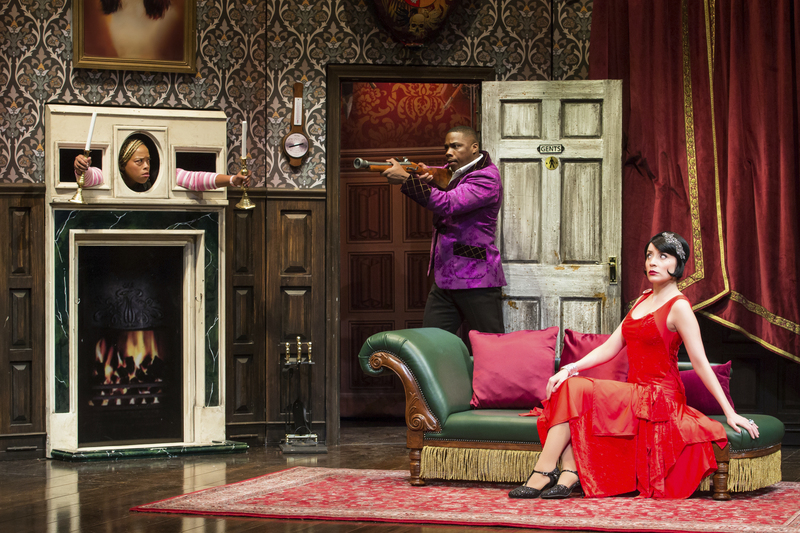 This fine production didn’t miss a beat and had us laughing from beginning to end. I noticed the waves of laughter dying out by the end of Act One; not because it was any less funny, but because one simply couldn’t laughter anymore. By intermission I had to wonder “Where do they go from here?” and boy were we in for an entertaining shitshow slip-n-slide in Act Two!!!! Kudos to this wonderful ensemble that played off each of so well and much to the delight of the entire audience! Thank you for a gut wrenching, tear streaming and puddle forming night of comedy that I will never forget! 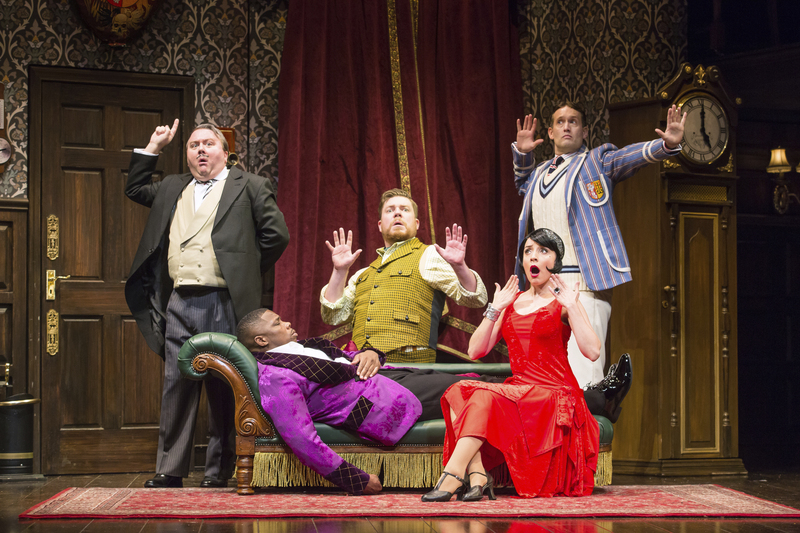 Be prepared to laugh with THE PLAY THAT GOES WRONG, playing now through March 17th at the Buell Theatre in the Denver Center Complex. For tickets or more information, contact the Denver Center Box Office by calling 303-893-4100 or online at www.denvercenter.org.